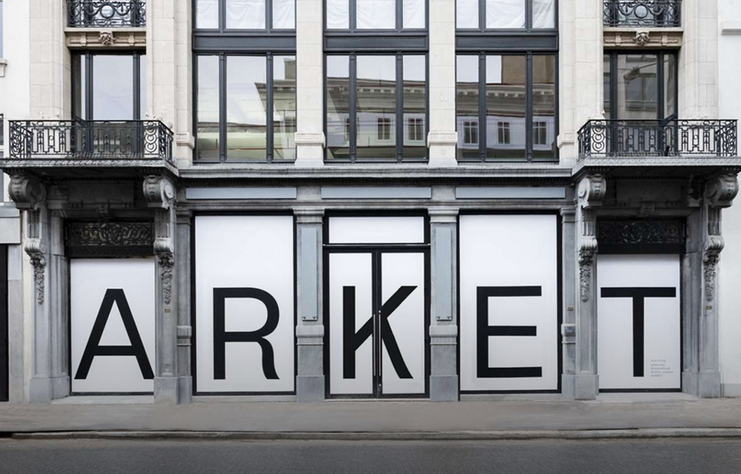 H&M subsidiary ARKET has announced the opening of a second Belgian store in Antwerp next spring. The new store will also serve a few Scandinavian dishes according to the New Nordic Food Manifesto. The new store will be located in the centre of Antwerp's shopping district, in the Huidevetterstraat (close to the city's main shopping street Meir). It will be the second Belgian store for H&M's minimalistic daughter, after the opening of a first store in Brussels last year. Arket aims to be a "modern market" that offers "a broad yet selected range of essentials for men, women and children, as well as a smaller, curated assortment for the home". Apparently these 'essentials' also include Scandinavian dishes, which an in-store restaurant will serve according to the New Nordic Food Manifesto - an agreement between several Nordic cooks to define a new Scandinavian kitchen that has an “innovative approach to traditional foods combined with a strong focus on health and an ethical production philosophy”. With IKEA's $190 Million Investment, H&M Ready to Enter into the Home Sector?